Manufacturer of Socks & Hsiery. 1. OEM / ODM orders are accepted on all our product lines. Buyer's label and design services are also available. 2. All materials are 100% sourced from Taiwan. 3. Using 100% Taiwan-made machinery in our production lines. 4. 132 inspectors are in-charge of checking our products for defects. 5. 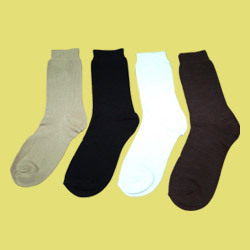 Manufacturing and exporting socks to worldwide since 1979. 1. 80% bamboo rayon 17% polyester 3% elastic. 3. Computer socks with various pattern.